Chef Rahman is a frequent visitor to Hyderabad, and over the last few years there had been at least one promotion from him every year, be it Afghani or Rajasthani. 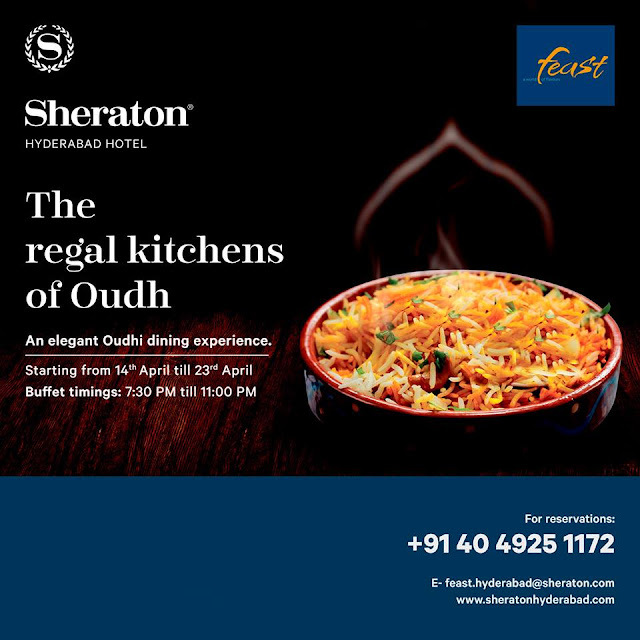 So, I was extremely happy to know that The Regal Kitchens of Oudh promotion at Sheraton Hyderabad Hotel, Gachibowli will be curated by him. The expectations were even bigger as Awadhi is his home cuisine. The festival, which is on at Feast, the all-day dining restaurant at Sheraton, is in form of a buffet. 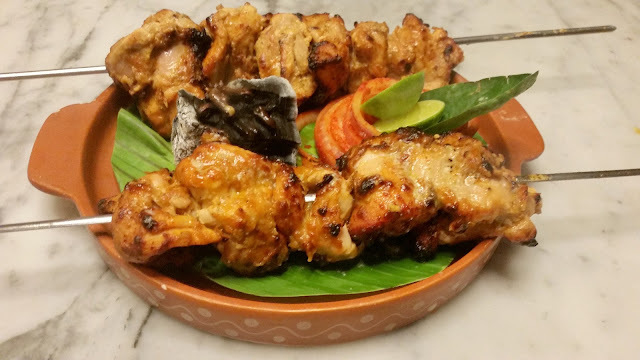 The Awadhi items on the menu replace the Indian section, whereas Oriental and Continental food is also served to cater to their in-house guests who may not be interested in the promotion. 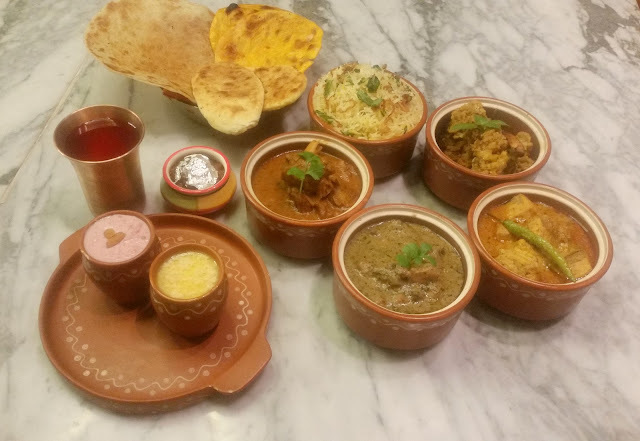 At a Bloggers’ Preview, we had a long chat with the Chef who explained that Awadhi cuisine is usually subtle and flavourful such that no ingredient overwhelms in the taste. 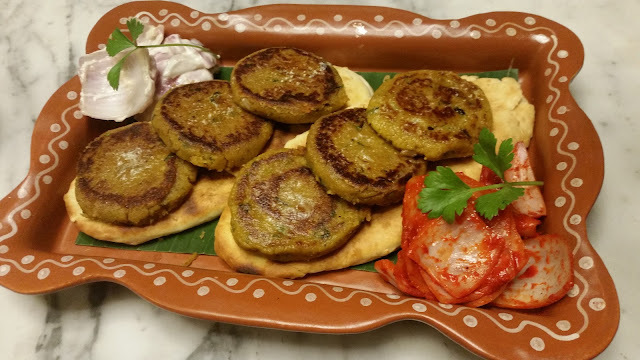 He also narrated that the mention of the name kabab in Lucknow by default refers to Galawati, whereas any other kabab usually has a prefix added to it (like Kakori Kabab, Shammi Kabab and so on). So, it was just fitting that we started our meal with Galawati Kabab. The kabab was absolute melt-in-the mouth, and to my surprise quite spicy. I loved the taste, and went for a refill from the counter. The spice element I suspect was keeping the local palate in mind. Another favourite was Murgh Hazrat Mahal, the chicken tikka marinated with mace and cardamom and served on skewers. 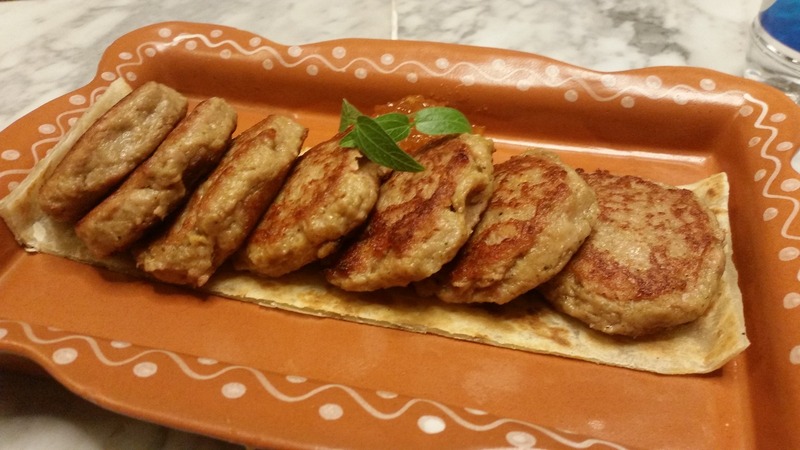 The soft kabab was extremely balanced in taste. 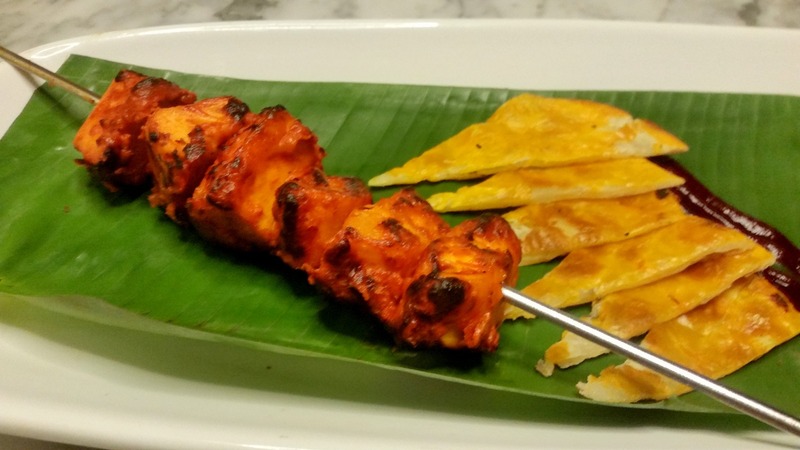 Mahi Ambali Tikka was a sweet and sour fish preparation which was decent. For vegetarians Dal Shammi (a patty of lentils and select spices) and Paneer Kutimirch Tikka (a yellow chilli and paneer preparation) were served. Annanas Ke Boti, grilled pineapple cubes, was my pick here. The main courses were fairly balanced with a range of vegetarian and non-vegetarian dishes. 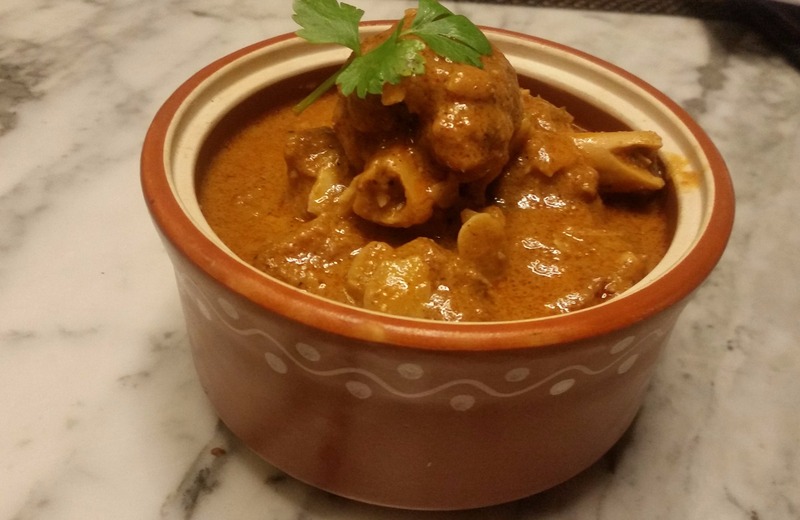 I enjoyed Methi Murgh as well as Badami Gosht (preparation of lamb in almonds). Both the dishes went well with the rage of Awadhi breads served on the table. 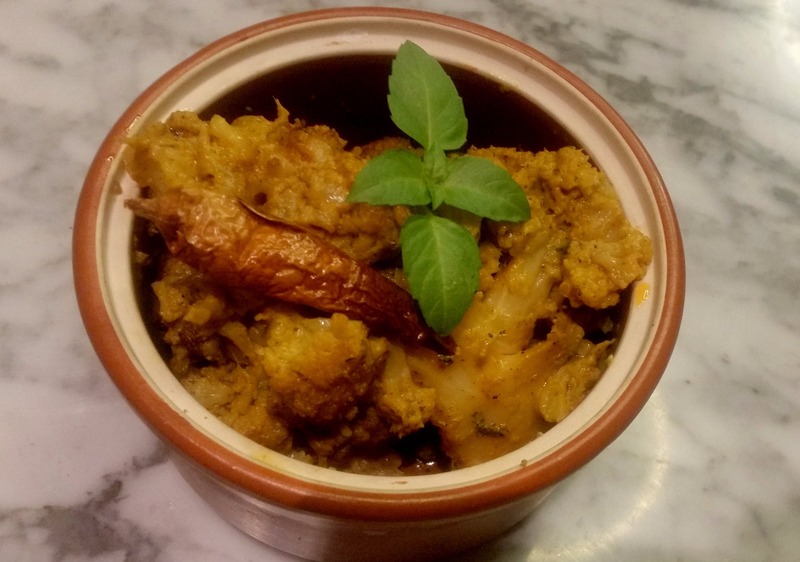 Martaban Machhli (fish cooked in martabani pickles) was the other non-vegetarian delicacy. Among the vegetarian dishes, Aloo Dum Awadhi, a yoghurt based preparation caught my attention. Gobhi Musallam, where a whole cauliflower is cooked, Dal Sagpatha (spinach based comfort food) and Paneer Khada Masala (a preparation in whole spices) were the other veg items on the menu. Among the rice dishes, I preferred the vegetarian Methi Pulao (with green chutney as advised by the Chef). Awadhi Murgh Pulao was also served. We had a discussion about Chef’s recent food journeys to Pakistan and some Arab countries. 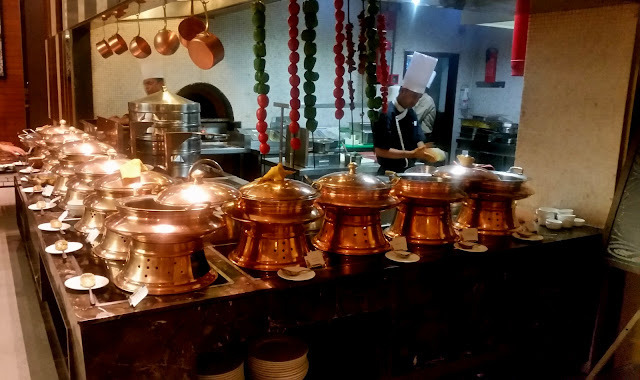 The Chef stressed on the fact, that when Indian cuisine is presented abroad or vice-versa, a little bit of tweaking is necessary to make it attractive to the local palate. He gave an example of Afghani kababs, some of which in their true form will taste too chewy and barren of spices to majority of Indians. 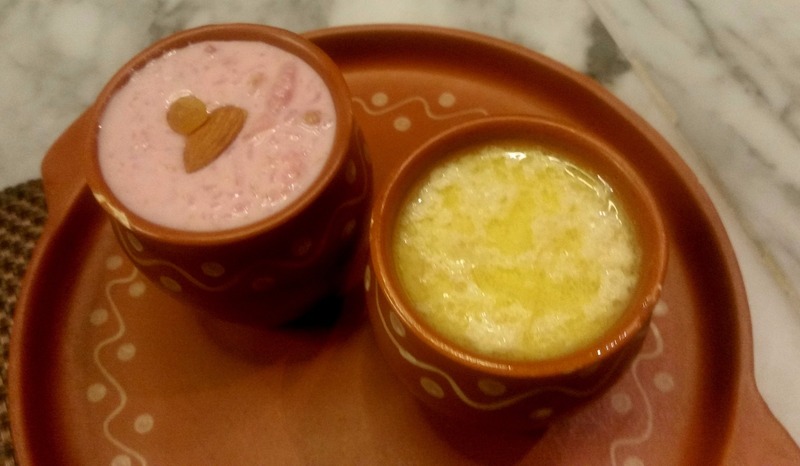 The dessert section had some specials too - Anjeer Halwa, Awadhi Sheer Kurma and Chukandar ka Kheer (a beetroot and milk dessert). I am not much of a dessert person and had a spoonful of each. The halwa appealed to me in this section. I missed the Awadhi signature dishes like Awadhi Biryani and Kakori Kabab in the menu, but I was told that they will be part of the festival menu on other days. 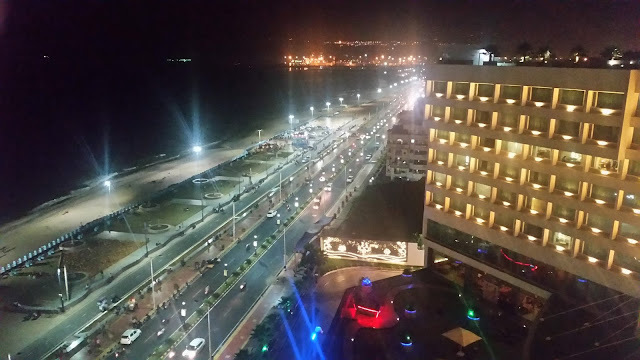 The promotion is on for dinner till 23rd April, and the buffet is priced at Rs 1300 plus taxes.